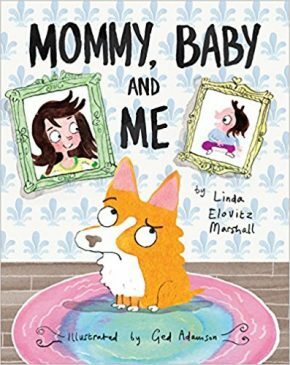 Linda Marshall's MOMMY, BABY, AND ME, a dog's story of how his world is turned upside down when his "Mommy" (who is human) brings home a 2-legged, furless baby illustrated by Ged Adamson. Pub. October 2017 by Peter Pauper Press. A dog’s world is turned upside-down when his owner brings home a new baby. How will the pooch adjust to the noisy, smelly, furless creature who is hogging all the attention? 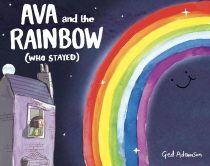 This humorous picture book story of a family dog’s adjustment to the arrival of a new baby will appeal to young readers adjusting to new siblings themselves. 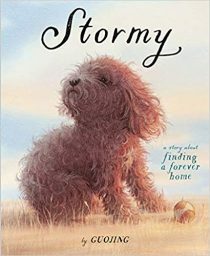 Children will enjoy the story’s unexpected voice: the first-person point-of-view of the dog. Author Linda Elovitz Marshall recalls how her first dog reacted when she brought home her first baby — her pooch was not exactly a happy camper. Luckily, dog and baby ended up becoming the best of friends. 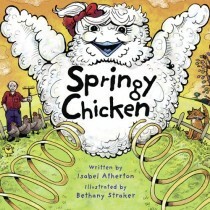 Linda lives with her husband on a farm in the Hudson River Valley. 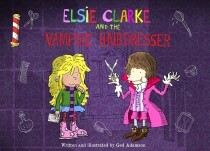 Illustrator Ged Adamson grew up in Liverpool, England. As a boy, when he wasn’t watching TV, he was drawing and doodling. And drawing dogs is something Ged does a lot. He drew the dog in this book as a corgi but Ged insists that it’s not because the Queen of England has one, he just really likes corgis.